Discussion in 'Ranchero Pics' started by andrewok1, Nov 22, 2018. Saff54, TestDummy, Jimbob and 5 others like this. 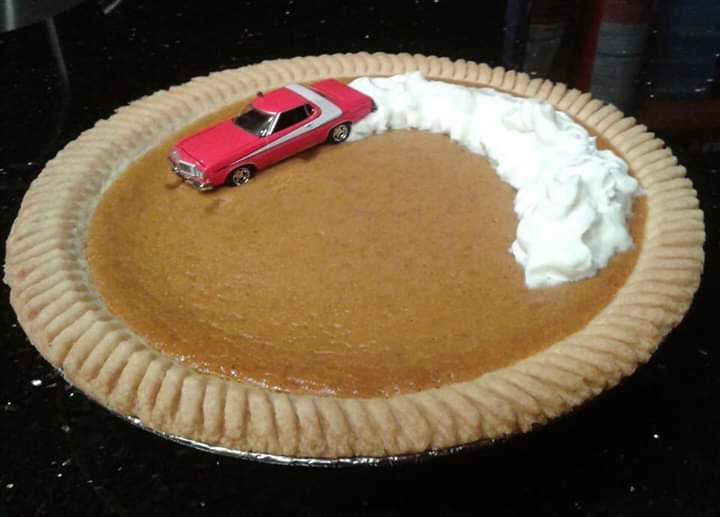 That is the best use of a pumkin pie ever. I myself have never been able to eat it, but it would be fun to spread it out on the table and play with the Hot Wheels in it. Looks like a blown head gasket to me. Hopefully the block is not cracked. That's one smoke cloud I wouldn't mind inhaling. Those two Crackers couldn't drive in the snow..